Gorgeous 2 bedroom, 2 full bathroom river view property in the solid Tugboat Landing development. Bright, open plan kitchen and living room with an extra large balcony and views out to the river and greenery. Features stainless steel appliances, laminate floors, quartz counter tops, new in suite laundry, cozy gas fireplace and new paint. Tugboat landing is completely rainscreened and welcomes rentals and 2 pets. Maintenance fees include hot water and gas. One parking included. Well maintained development with a Clubhouse, exercise room and hot tub. 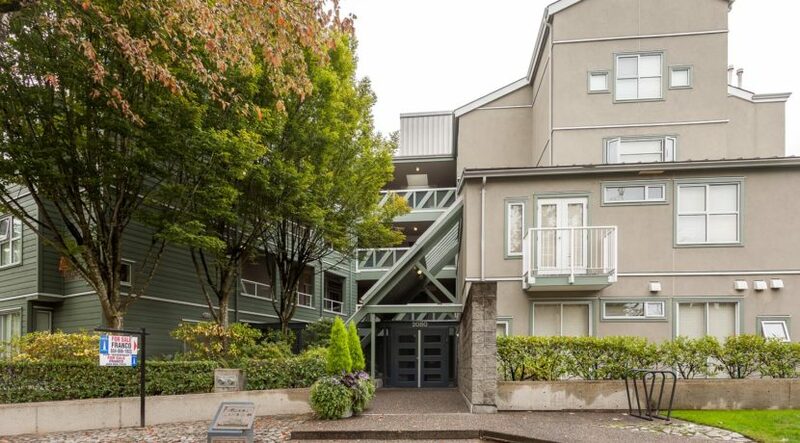 Close to parks, transit and Seawall. PRIMARY: David Oppenheimer Elementary School is located in a culturally diverse community and is characterized by a history of excellent teaching, successful traditions and strong parent support. The staff is committed to innovative teaching. Oppenheimer is known for a first-rate science program, high quality art instruction, great athletic performance and exceptional band and music programs, at both intermediate and primary levels. Through the generosity of the Parent Advisory Council and creative fundraising, Oppenheimer School is able to continue to offer exciting initiatives, which includes our Grade 7 camp on Vancouver Island, a winter skating program, school wide gymnastics and dance programs, increased investments in computer and technology resources as well as a wide variety of stimulating field studies throughout the year. SECONDARY: David Thompson is a comprehensive Grade 8-12 school emphasizing academic achievement, student leadership, athletic excellence, participation in the arts, ESL and service to others. The school offers a variety of supportive programs for their students including the BC School Fruit and Vegetable Nutritional Program and the Odyssey Mini School, which challenges highly motivated creative achievers through accelerated classes in Mathematics, Science, English and Social Studies and allows students to tailor their education to meet their individual needs and goals.